A Dinner & A Night of Theatre! 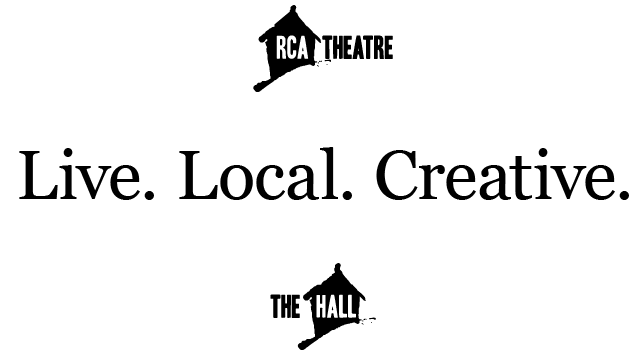 This package is only available for purchase in person at the LSPU Hall (3 Victoria St), or by calling the Box Office at 753-4531. Constellations is a two-person show that presents a single relationship as a series of possibilities. It runs from Feb 23-25th at 8pm at the LSPU Hall with a 2pm Matinee on Saturday, Feb 25. 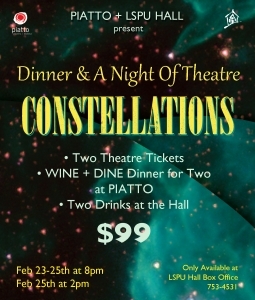 For more about Constellations, or to buy tickets, click here. For more information about Piatto, visit their website.